Chair: Prof. Dr. Reinhard Bettzuege German Ambassador ret. The history of Moldova goes back to the middle of the 14th century, when the Principality of Moldova was founded. A vassal of the Ottoman Empire from 1538 until the 19th century, the country was divided in 1812, the eastern part Bessarabia was annexed by the Russian Empire. In 1918, Bessarabia became independent as the Moldovian Democratic Republic and united with Romania. In 1940 it was annexed by the Soviet Union. In 1991 the western part declared independence as the Republic of Moldova, the Eastern part in 1990 proclaimed an independent Moldovian Soviet Socialist Republic, Transnistria. The winter of 1991/92 saw clashes between Transnistrian forces and the Moldovan police which escalated into a military engagement. Following a Russian military intervention the war was stopped. As of 2007, the Russian military remains in Transnistria, despite Russia having signed international agreements to withdraw, and against the will of the Moldovan government. 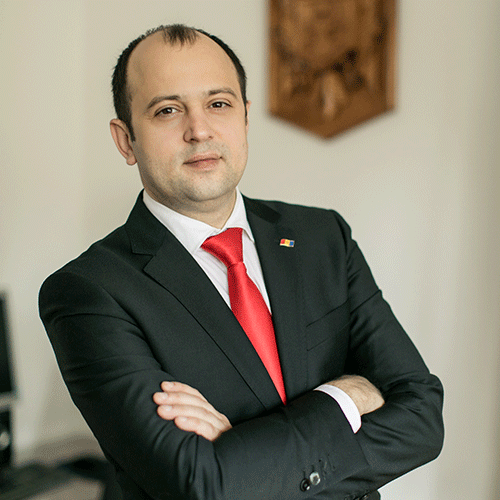 De jure, Transnistria is internationally recognized as a genuine part of Moldova, but de facto, the Moldovan government does not exercise any control over the territory. A “frozen conflict“ in Europe. About the series: More and more national identities and ambitions are discussed on a global scale and thus political dreams are formulated by governments, political parties, and parliamentarians. To mention only a few we hear about the Chinese Dream, read about the Canadian Dream, follow the Catalonian Dream of independence, know about the Palestinian Dream, the Czech Dream, the Slovak Dream, the Brexit Dream, the Trump Dream of America First, Macron’s Dream of a new France, the Indian Dream after 70 years of independence, last but not least the European Dream. There is also a Hungarian Dream. We would like to examine these political projections closer, look at the history, the origin of these conceptions and the way they are brought forward. First-hand introduction into and elaboration on these dreams of nations are provided by the accredited Ambassadors of their countries. What political and policy agenda their countries have to make these dreams come true?